A number of companies in the news industry and blockchain startups are teaming up to develop an advanced open-source publishing and revenue-generating platform for news organizations. 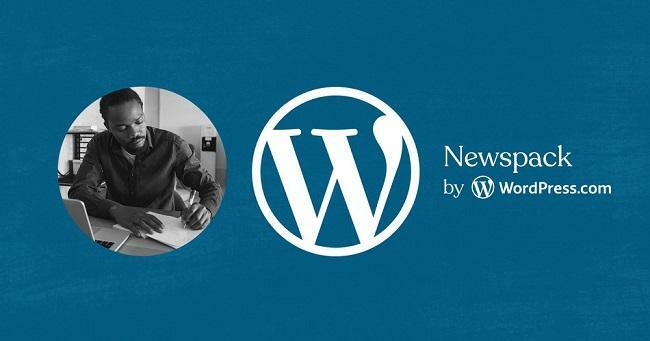 The project, called “Newspack by WordPress.com,” will be developed on WordPress.com’s cloud-based platform and incorporate many of the best practices in digital publishing. Automattic, the parent company of WordPress.com, and its partners Spirited Media and News Revenue Hub, have raised $2.4 million in funding for the first year of the project. The initiative is being backed by Google, which through its Google News Initiative, has invested $1.2 million into the project. In addition, the Lenfest Institute for Journalism has contributed $400,000; ConsenSys, the venture studio backing blockchain journalism startup Civil, has committed $350,000; and The John S. and James L. Knight Foundation, is contributing $250,000. According to the official release, an additional $200,000 from a fifth source is expected to be contributed toward the project later this month. There is a lack of a common, cost-effective solution that allows sharing of best-in-class tools among new startups. This results in smaller news startups facing the complexities of technology selection, development, maintenance, hosting, and security, which can obstruct effective revenue generation. Newspack by WordPress.com will address these issues and help small digital publishers get onto the platform quickly and provide them with an affordable system. The release said that the new publishing platform will include a native plugin for Civil, allowing any interested newsroom using the platform to easily join Civil's community-owned and operated journalism network and/or permanently archive content in decentralized, tamper-proof storage environments. The platform is expected to launch in beta by the end of July 2019. The project partners plan to expand the platform to support up to 60 sites by early 2020.